Show your work in our un-juried exhibit featuring digital art and photography at this very popular show. All entries will be printed (8.5"x11" on heavyweight paper) and shown in our gallery arranged in a grid. Entrants submit JPEG files of original work. Multiple entries are permitted. Separate registration fee required for each image. Special consideration is given to "Snap to Grid" artists for inclusion in future exhibits. Entrants to our calls for submissions form the pool of artists from which we select the majority of our exhibitors. 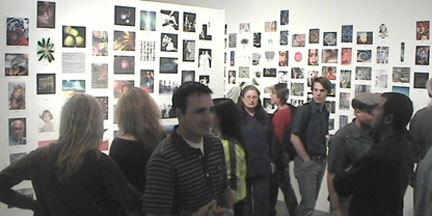 There have been a large number of "Snap to Grid" participants who have been included in group exhibits, as well as a number of solo shows. 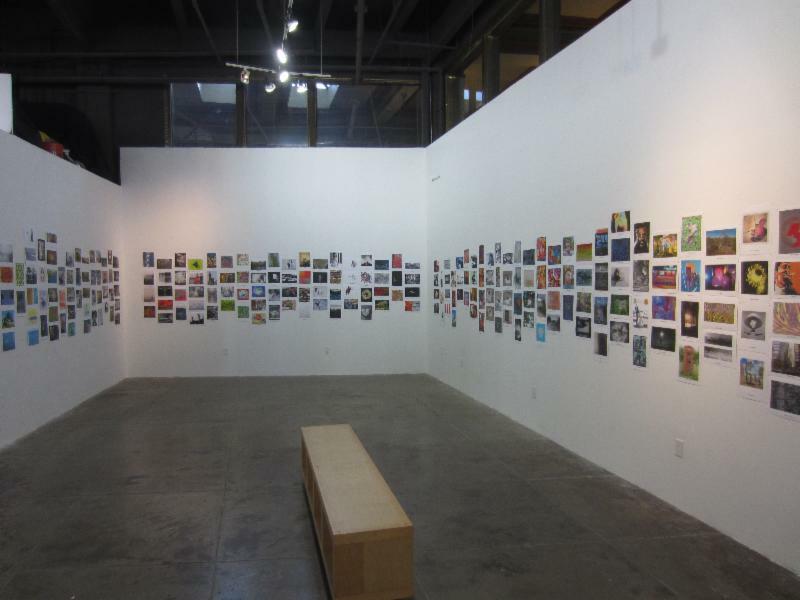 Proceeds for "Snap to Grid" benefit these gallery programs and keep LACDA thriving. Exhibit your work, build your resume, and support LACDA. Everybody wins! Location: International, open to all geographical locations. Entry Fee: Registration fee is $35US. Submission Rules: Registration and submission are done online only. JPEG file uploads are the only accepted submissions under 5MB each. Please do not send materials to LACDA. All materials sent to LACDA will not be viewed and cannot be returned. Multiple entries are permitted. $35 registration fee for each additional image. Separate registration fee required for each image. Every year for over 50 years the L.A. Municipal Gallery has held its "Open Call" exhibit where any artist can show up with their art and an entry fee (to benefit gallery programs) and the piece is shown. The Los Angeles Center For Digital Art decided to launch an international experiment of the same nature where the artists upload images that are printed and hung by the gallery. 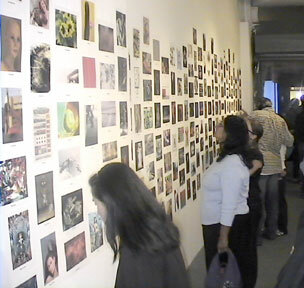 The hundreds of works are displayed in a grid like installation (reminiscent of postcard art shows of the 1980's) where every work submitted is exhibited. The usual (less than democratic) selection process where only the precious few are chosen is turned on its head in a curatorial anarchy where everyone gets to participate and the viewer is literally left to be the judge. The show represents a snapshot of a current moment in art history when digital imaging has reached the hands of the many, an age where "smart culture" belongs to an all pervasive social media. From Thailand to Texas, amateur to academic, beautiful to banal and beyond the monumental quantity and variety of "Snap to Grid" becomes an aesthetic experience where each individual piece adds to an agglomerative effect that has a life of its own.